Any queries on GKB Opticals products read FAQ. 1 What are the benefits of creating an Account on www.gkboptical.com ? >>> Creating an account on GKB Opticals website gets you the privilege of getting all your order details in one place. Also, signing up gets you additional benefits with special discount vouchers and deals. 2 What can I Do From my Dashboard? >>> You can change your password; view your orders, save your prescription details as well as save your shipping addresses for future use. 3 I forgot my password. How can I retrieve it ? >>>Please use the ‘forgot my password’ option and enter your email address to get a replacement password mailed to you on your registered Email Address. 1 Am I eligible to use contact lenses? >>> Most people requiring vision correction are eligible for Contact lenses. To ascertain if you’re a good candidate for contact lenses ask your eye care specialist for suggestions and recommendations. 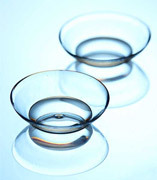 If you have certain eye errors they might prescribe you certain type of contact lenses. 2 Are contact lenses safe? 3 Can I sleep with Contact Lenses? >>> Sleeping with contact lenses is not a good practice. Unless your doctor specifically instructs you to sleep with contacts on, don’t wear them while sleeping. 4 How long will my Contacts Last ? >>> The life of a contact lens depends on a lot of things. Most contacts come in a wide variety of ideal wear life like yearly contacts, 6 month, quarterly, daily, monthly disposable etc. 1 Can I order just Spectacle frames ? >>>Yes you can order just the eye frame. 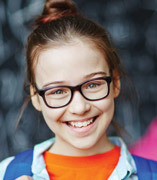 GKB Opticals hosts more than 1450 attractive Eyeframes from many brands including international brands. You can browse for the frame you like and add it to the shopping cart and checkout. You can choose a lens package or just order the Eyeframes. We also offer special offers for getting your lenses done at any of our 68+ GKB Opticals stores throughout India. 2 What is the price for lenses? >>> GKB Opticals offers a wide range of lens packages which suit the needs and budget of a wide range of customers. 1 How Do I order From GKBOpticals.com? >>> Ordering from www.gkboptical.com is easy and fast. Log on to our website, browse through the categories and the products and select your favorite eyewear at the best prices ever. You can add powered lenses or choose your power for contact lenses. Either you can add the prescription values yourself or you can scan and send the prescription to us. Now, in the next step add your address and process your payment. For COD orders, an additional charge of Rs 40 will be levied on the order. 2 Can I send my power details / prescriptions after I order? >>>Yes, you can scan or send your power details via Email after ordering. You can choose to get a call from our Optical assistants of you’re not sure how to order. 3 Is there any additional shipping charges when I order from www.gkboptical.com? >>.For orders being delivered within India, there is no shipping charge. Taxes, import duties and customs are to be paid by the customer. GKB Opticals will not take responsibility for any additional duties or taxes . 4 How soon can I expect my order ? >>> GKB Opticals has partnered with the best courier and shipping partners to provide you the best and fastest delivery. Estimated shipping time is dependent upon the products you use. Expect your product to reach you within 2-5 days. 1 How can I pay for my Order? >>>There are many payment options for your order. You can choose between Cash on delivery, Debit card payment, credit card payment, Net banking and EMI payment options. 2 What Are the eligibilities for EMI payment? >>> We offer EMI facility to customers having credit card from Citibank or HDFC bank. You can pay in easy monthly installments for your purchases above Rs 1000. The minimum amount for availing EMI option is Rs 1000. 3 How can I pay Cash on Delivery for my order? >>> You can get your products delivered to your doorstep and pay in cash when you accept your order. This takes away the hassle of paying online for your order and is easily available at a vast number of pin codes. Please keep in mind each COD order will attract Rs 40 as COD charge. 4 My payment got cancelled mid way and payment was deducted from my account, but the order has not been placed. What should I do? >>> Please call our customer care at 1800 419 1990 or mail us at cs@gkboptical.com for details and issues related to ordering and payment. 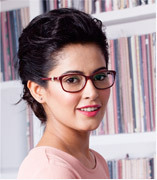 1 How can I get perfect fitting spectacles? >>>If you already wear spectacles then it will be easy to get your spectacle measurements to determine if you need medium, small or large eyeglasses. For most people a medium size works fine. Check out your existing spectacles for measurements of the temple, bridge etc or let our optical assistants help you decide upon the perfect frame. Call us at 1800 419 1990 for more details. 2 Which lenses will work for me? >>>At GKB Opticals we know that each individual is different and we suggest them eyewear solutions based on their unique needs. 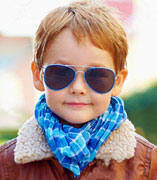 No eye is similar, that’s why you will find multiple lens packages made to provide ultimate vision for the best prices. If you are finding it hard to decide or feel clueless about choosing lenses, call or mail us to choose your lenses confidently. We shall help you pick out the best lenses. 3 Do you offer Crizal lenses? >>>Yes, GKB Opticals offers the world famous Crizal lenses from Essilor. 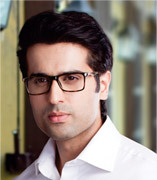 You can get your pair done from GKB Opticals and get them fitted in your favorite Eyeframes. 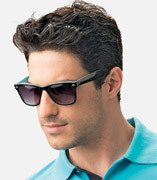 4 Do you offer High index lenses? >>> Yes we do offer high index lenses. You can get 1.67 and 1.74 index lenses done from GKB Opticals for thinner lenses. These are really beneficial for people having high prescription. 5 How do I send my prescription? >>>You can enter your prescription details manually, or you can send us the scanned prescription details along with your order details. Please ensure you also provide us your PD value to get perfect lenses. 1 Can I purchase contact lenses from GKB Opticals? >>> Yes, absolutely! You can get your contact lenses from GKB Opticals. You can purchase contact lenses from Bausch & Lomb, Ciba Vision and Johnson & Johnson. You can get Single vision or Bifocal contact lenses. 2 Can I get contact lenses for Astigmatism? >>> Yes we do have Toric lenses which are prescribed for Astigmatism. 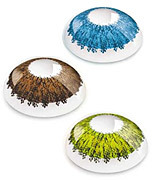 3 Can I get Colored contact lenses at GKB Opticals? >>> Yes you can get colored contact lenses from GKB Opticals. Upgrade your style and get colored contact lenses in your prescription values.